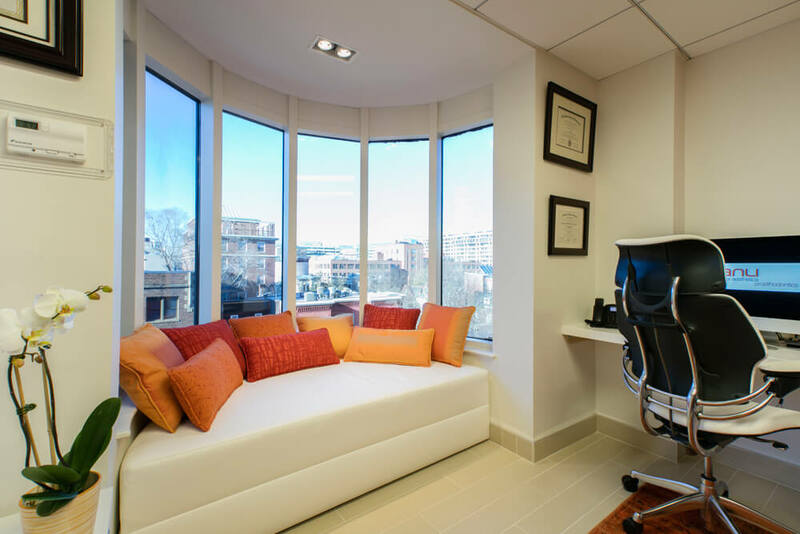 Dr. Siranli purchased an existing 2000sf dental practice adjacent to the George Washington University Hospital, and after several years of practicing in the existing space and building a reputation as one of the top Prosthodontists and Cosmetic Dentist modern office in DC, decided to renovate and expand the practice to incorporate an adjacent 900sf suite that became available. 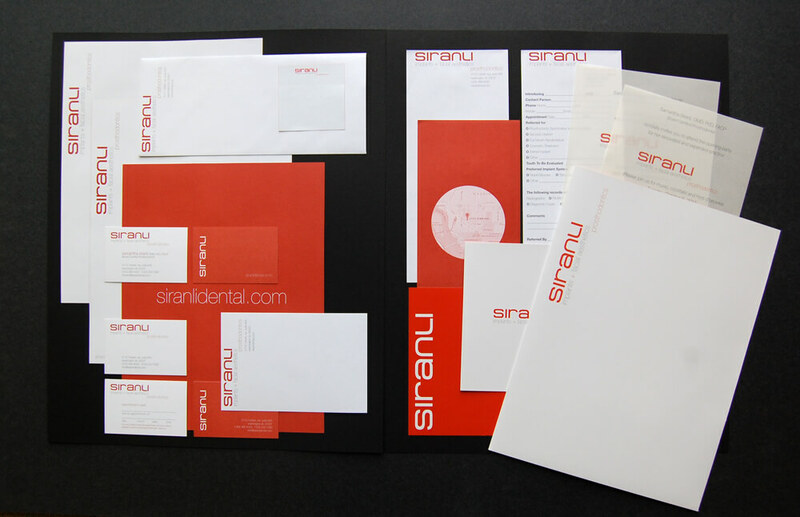 Her intent was to convey a new brand identity that was commensurate with the stellar reputation she had built for herself and her practice. 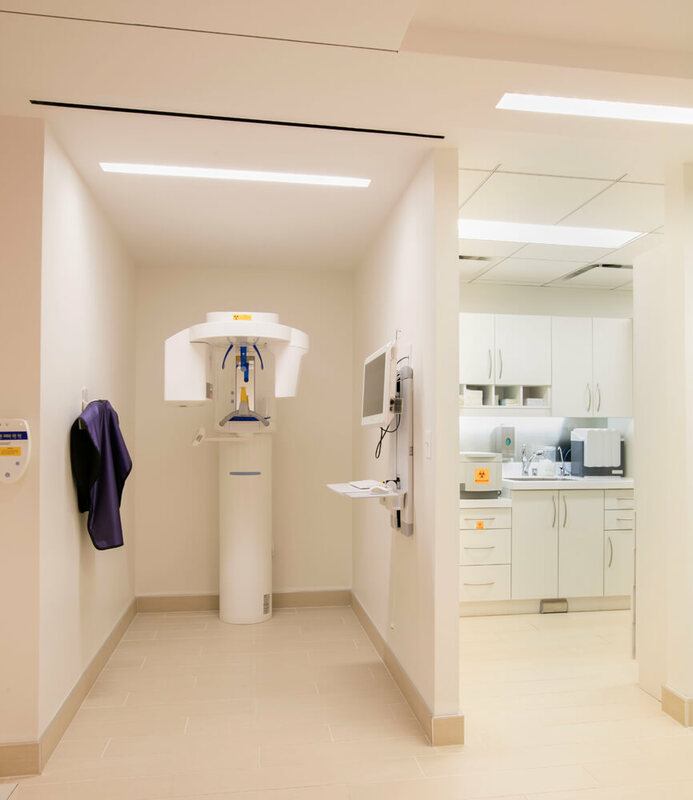 She engaged FORMA to help rebrand, renovate and expand the clinic while having the practice remain operational during the construction phase. 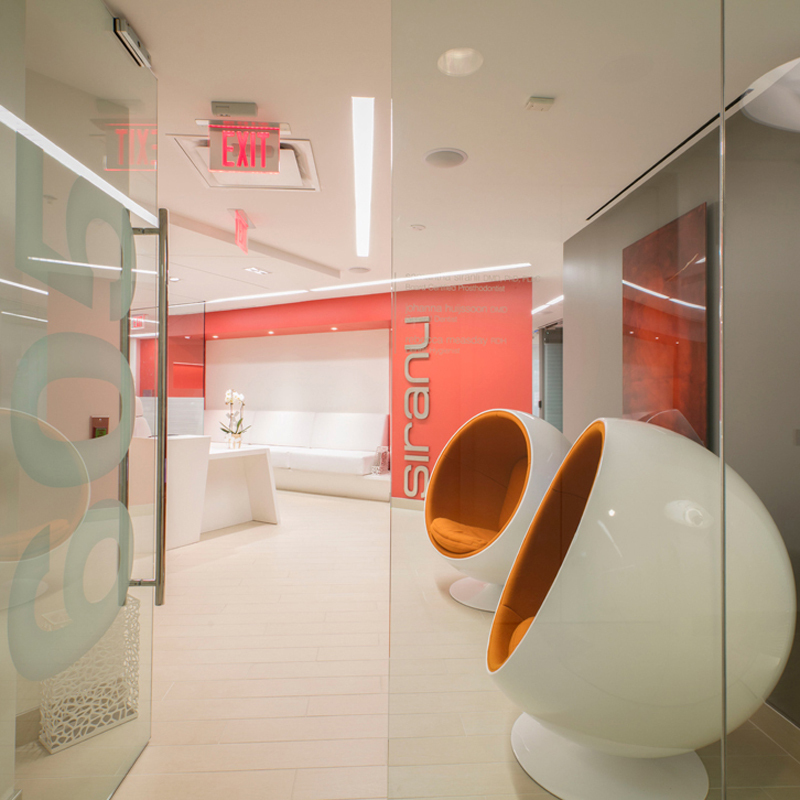 FORMA re-configured the layout of the space to address patient flow, flooded the space with natural light with the extensive use of glass, and created a modern, uncluttered yet highly functional clinic that allowed the Dr. and her staff to bring out their best. 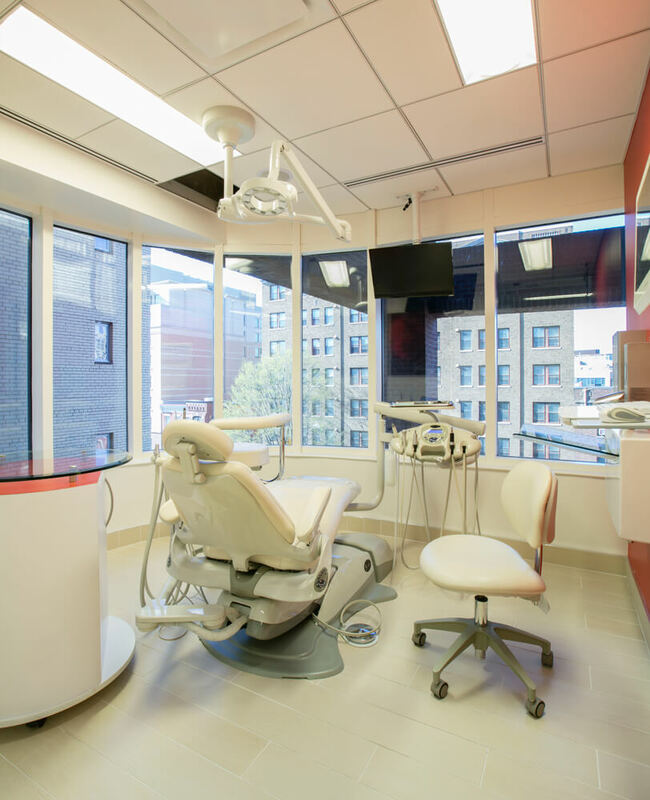 The renovation and expansion were challenging, but the end product exceeded Dr. Siranli’s expectations. 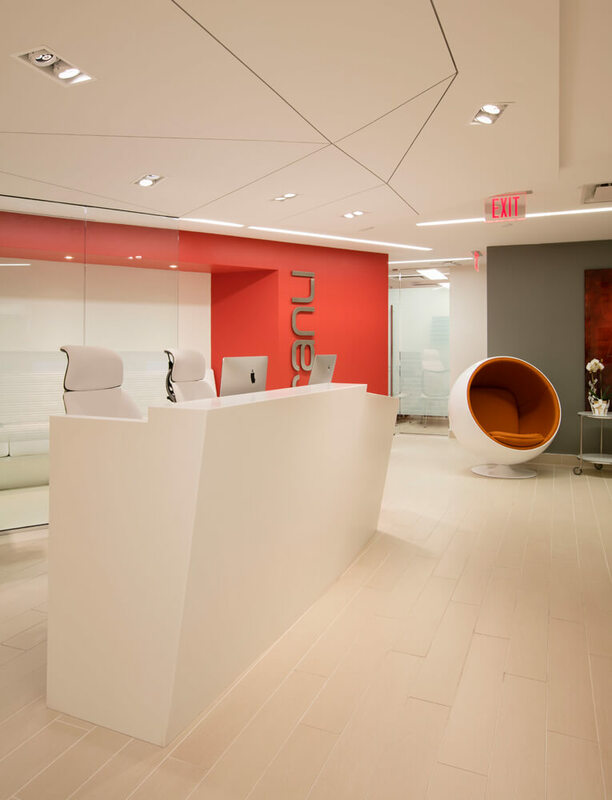 FORMA assisted in the architectural and interior design of the space, furniture and art selection throughout, created the brand identity package with a complete Graphics package, website design and an extensive brochure/book with case studies. 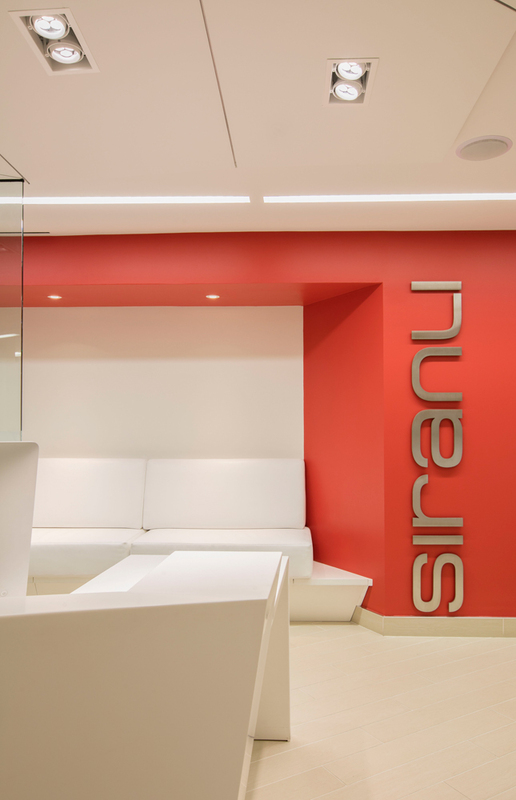 Dr. Siranli has since engaged FORMA to assist in marketing and advertising campaigns to spread the word on SIRANLI Dental. 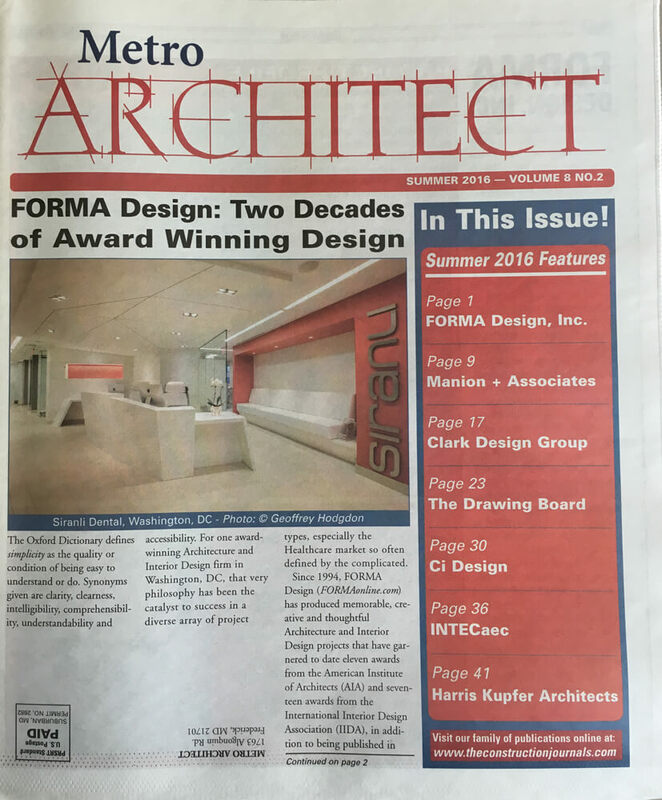 The project was the Cover Story on the Summer 2016 issue of METRO ARCHITECT on FORMA Design and our work through the past 20 years. 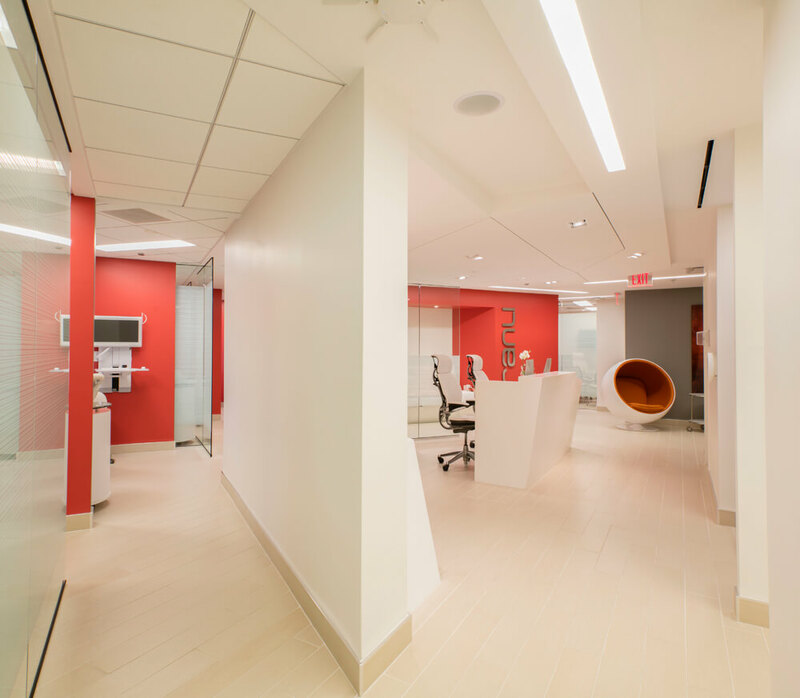 The project won an American Institute of Architects/ Miami chapter Merit Award of Excellence in Interior Architecture in October 2016. 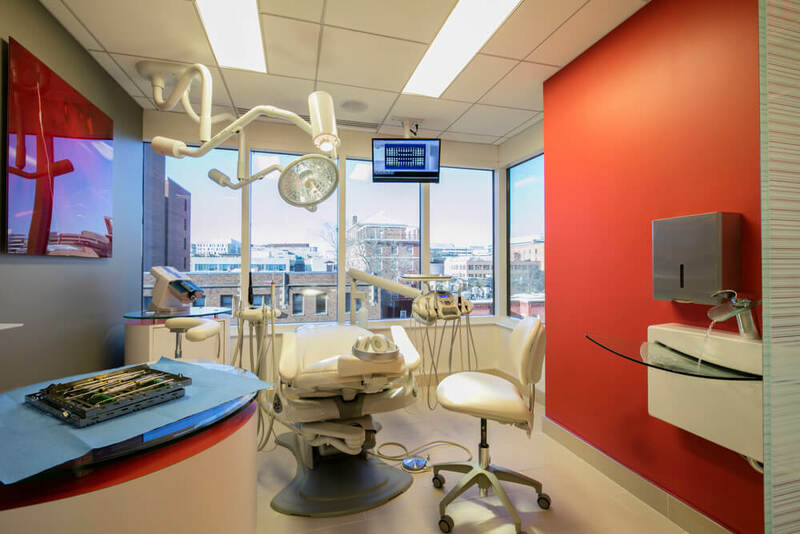 The project was featured in the Washingtonian magazine “Top Dentist” issue in March 2017, in the article “Gentle Dental” on page 103. 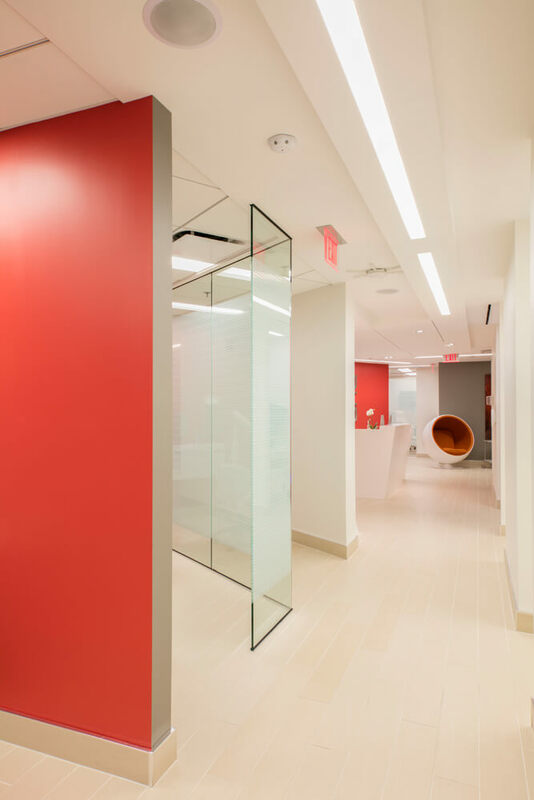 The project won a International Interior Design Association/ South Florida Chapter award as the Best Healthcare Project of 2017 in July 2017. 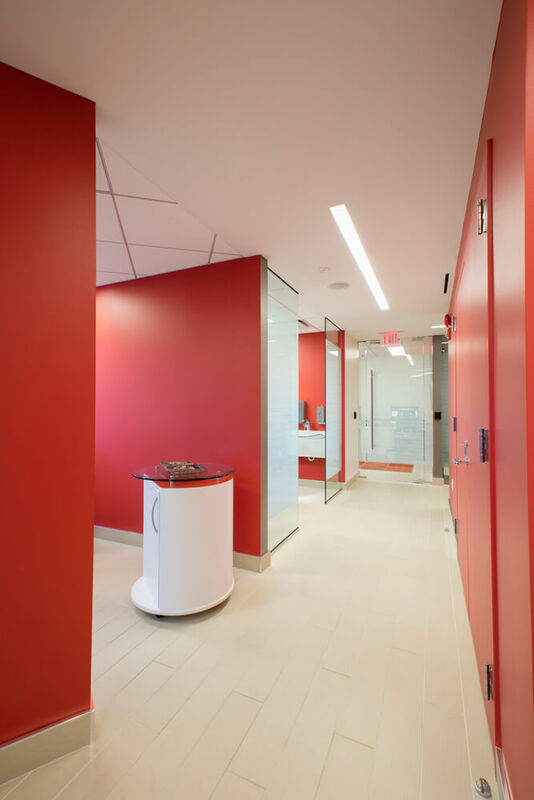 The project was featured in Healthcare Design Magazine in October 2017. 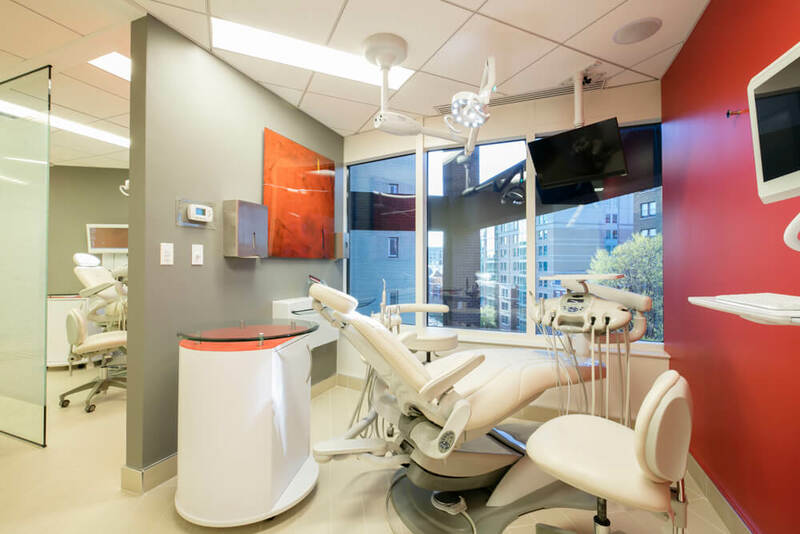 “I had an non-traditional vision of how I wanted my dental practice to look. 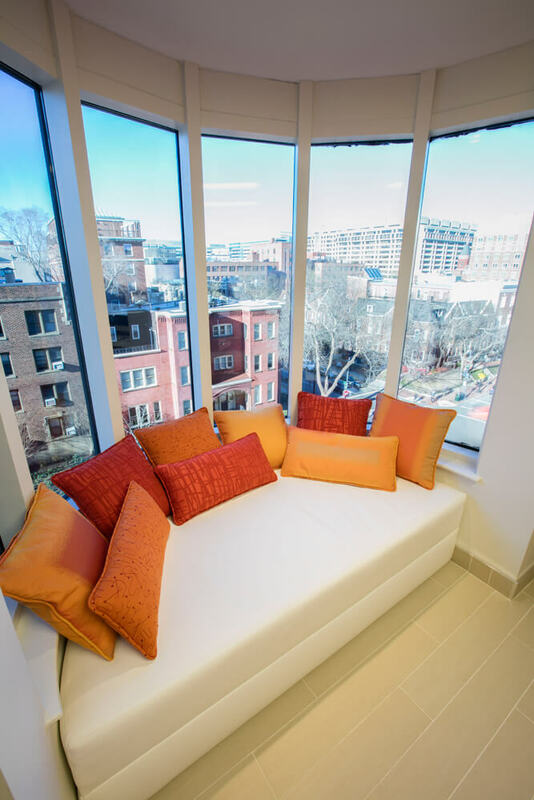 Andreas balanced my vision with the architectural vision and the project realities beautifully. 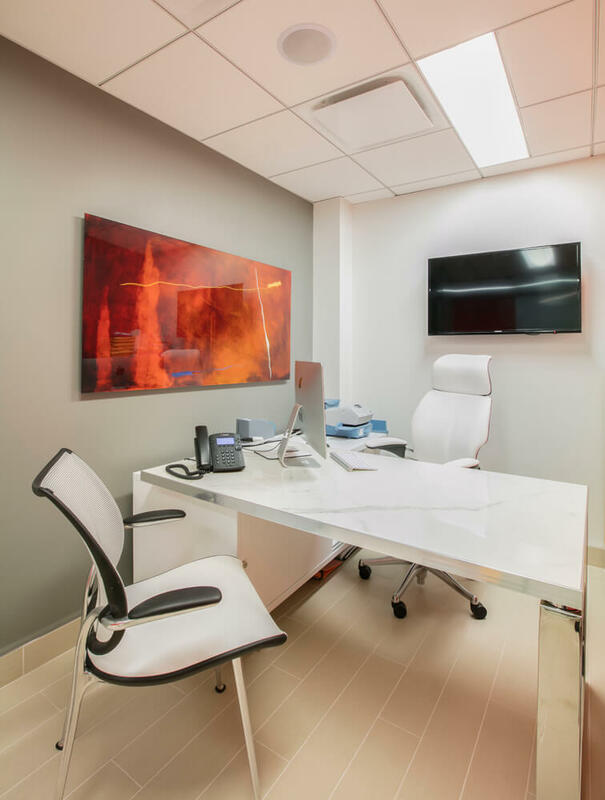 He amazingly reflected my personality to my practice architecture which makes it so unique. 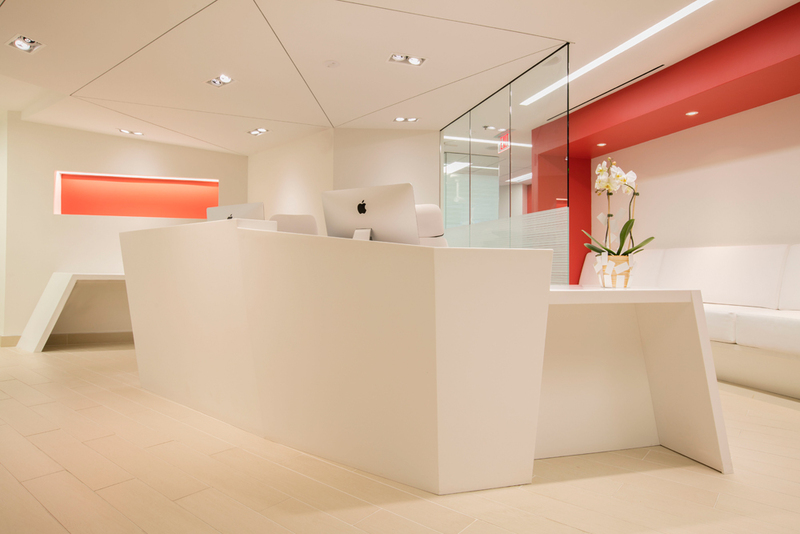 He cleverly reconfigured the space and brought the daylight all the way to the entrance welcoming our patients in a very magical way.